The range Les Duos created by Revolute propose their simple but full of flavour concentrate. 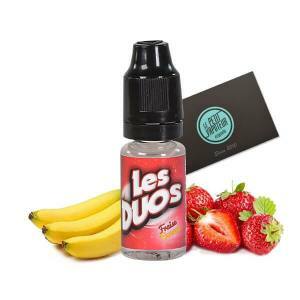 Of fruit and gourmet, Les Duos is marriage of 2 familliar flavours, for the best. The concentrate Les Duos are conditionned in 20ml bottle with a fine pippette for a precise dosage. Soft to the sweet point, this meeting of Madeleine and Honey will please nostalgic gourmet vapers. A taste of yore.